"I did not blow up the Mona Lisa"
Nikki Silva feels like she’s blown up her life even as her brothers tease her about blowing up a boat called the Mona Lisa. Divorced, funding for her shark research cut off, she’s moved back to Provincetown to live with her father in her childhood home. Nikki hopes to regain herself. She’s written a grant proposal for the newly formed Massachusetts Bay Commission to fund a study that will get her back to the sort of research she loves. The commission is run by her ex-husband Ned, who would rather have a migraine than give money to his ex-wife. Marco Tornetti wants to turn a hole-in-the-wall Newark spaghetti joint into a trendy bistro. His silent partner, Fat Phil Lagosa, wants to use the place to meet questionable people for questionable business deals. When Fat Phil accuses Marco of a double cross and has him taken for a ride by one of his hit men, Marco knows he’s in too deep. Marco escapes the hit man and takes the first bus out of the Tri-state area, a bus chartered by the Greater Teaneck Gay Men’s Choir and headed for Provincetown. Marco figures that Phil would never look for him in Provincetown‘s gay community. But when he meets Nikki and falls hard for her, he finds that pretending to be gay isn’t as easy as it would seem. Provincetown, Massachusetts is like nowhere else I know. A tiny fist of land at the end of an arm jutting into the Atlantic Ocean, covered in sand, with dunes that resemble small mountains. In this tiny space co-exists a main street bustling with tourists, a haven for the arts, an enclave of fisherman of Portuguese heritage, and a very vibrant gay community. It was the perfect place to set a story featuring a heroine who's a shark researcher and a hero who's trying out a self-witness-protection program by pretending to be gay. 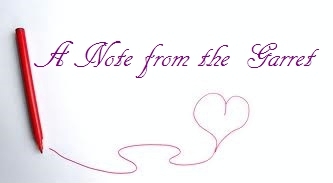 The setting inspired a flamboyant and quirky cast of characters, a big purple boat, and two people who might maybe just be perfect for one another. 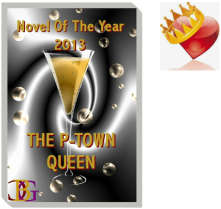 The P-Town Queen was selected as Champagne Book's Novel of the year. "The P-Town Queen is chick lit at its absolute best. Not only is the book witty (and at times even laugh out loud funny), there is an interesting story and great characters." DE Haggerty, Author of Life Discarded. I watched this unfolding story with great interest. I live in New England and have spent many a long weekend and holiday week enjoying the beaches on Cape Cod. I’m also a fiction writer and Provincetown, the fist at the end of Cape Cod’s arm, is the setting for my romantic comedy, The P-Town Queen. The story revolves around the relationship between a down-on-her-luck shark researcher and a guy who’s hiding from the mob by pretending to be gay. You might think writing such a story involves little more than pulling it from my overactive imagination and putting it to paper. But fiction, even at its wildest, has to have some basis in reality. If it doesn’t, the reader will soon put down the book (or throw it against the nearest wall, as the case may be) never to pick it up again. So even a fiction writer like me has to do her homework, otherwise known as research. Since my main character, Nikki, was a shark expert, one of the things I researched was great white sharks. It takes a while for a book to go from bright idea to published entity. In the case of The P-Town Queen, the process took four years, give or take. And what I found in researching sharks off the waters of Cape Cod, four years before publication, was there weren’t many of them. An occasional sighting would cause a blip on the local news, but that was about it. If you were a shark researcher like Nikki, you’d most likely do research somewhere other than Cape Cod, choosing instead a location where there was a large population of sharks to study. The Channel Islands off the coast of California, perhaps. Or the southwestern coast of Australia. I needed to set my story in Provincetown and so I made up a story line to fit this few-sharks-on-the-Cape fact. Nikki had been researching sharks in California, she lost her grant money and was forced to move home to Cape Cod to live with her retired fisherman father while she figured out how to get more funding and further her career. The story line worked. The book was picked up by Champagne Books and, in June of 2012, it was published. And in July of 2012, one month after the release, white sharks started appearing off the coast of Cape Cod. There are good reasons for the increase in the white shark population. Grey seals are a protected species and their numbers have been on the rise. Monomoy Island off of the town of Chatham is now home to over a thousand grey seals. 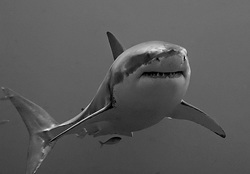 White sharks feed on seals, so the greater the food source, the more sharks come around to feed. It does make perfect sense, but I can’t help feeling a little wiz-bang shiver at the co-incidence. I’m sure Nikki would be pleased that the subjects of her research have come to her. Funny, how things work, isn’t it?